Wine pairings are quite common. 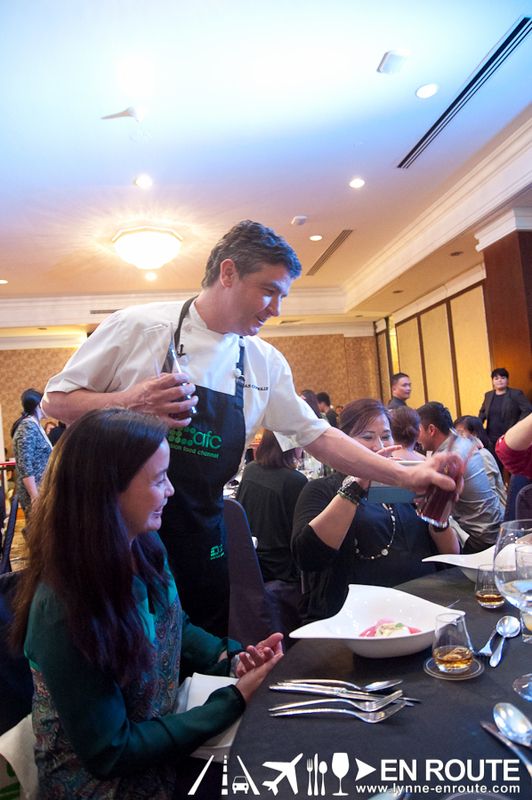 Craft Beer pairings are gaining a crowd in Manila. 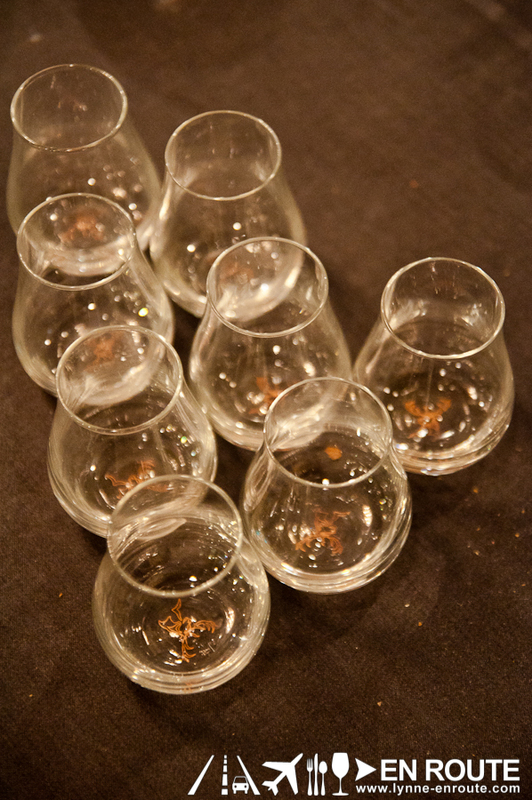 Whisky pairings, though, is rarely heard of. Physically possible, but sounds insanely impractical and taboo. 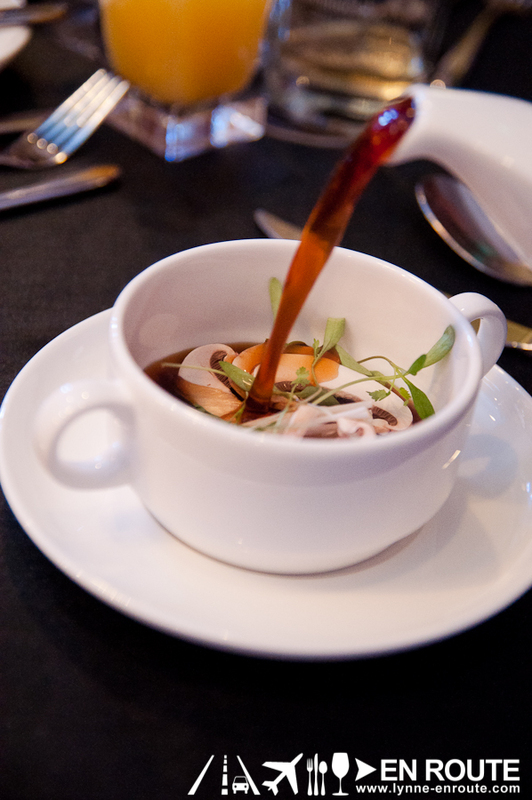 The Philippine taste buds are not used to drinking whisky, particularly neat or with just a splash of cool water. It is normally on the rocks or chased with a sweet cola. The most accepted pairing is probably an ice cold beer and peanuts (or some sizzling Filipino food fare. Pulutan reigns supreme in these islands). Whisky is still primarily appreciated more here for its alcohol content and its consequential social interactions of the imbibed person, and not mainly for the distinct character of a particular spirit. Whisky is still a strong liquor where its distinct tastes are masked very much by the strength of this booze, and pretty much masks any food paired with it. 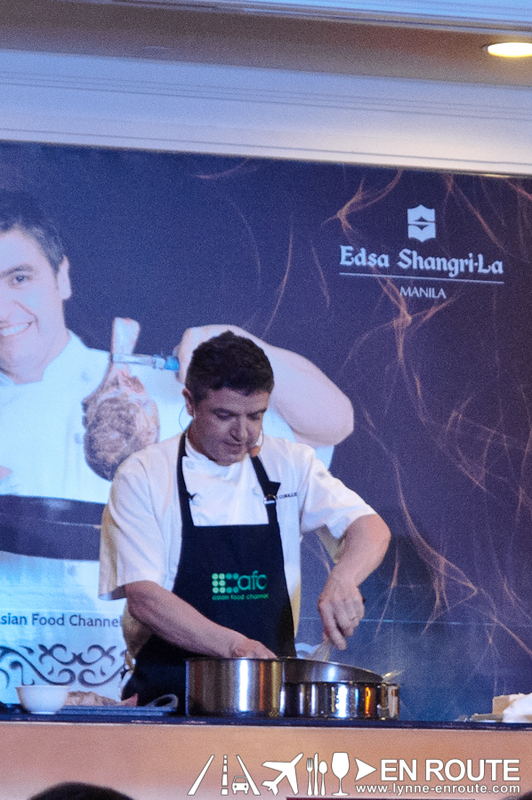 But The Asian Food Channel, together with Chef Sean Connolly and Glenfiddich propose otherwise. 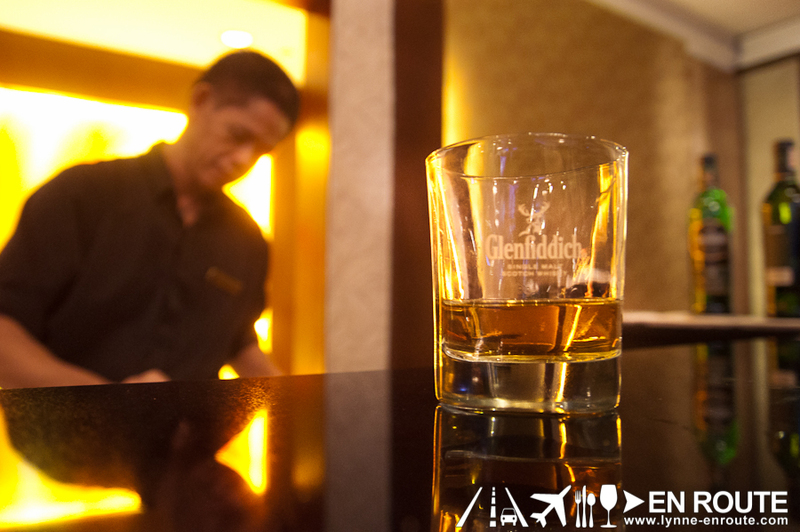 Glenfiddich is one of the more popular single-malt whiskies coming from the Islay region of Scotland. And characters of their aged whiskies will depend a lot on the method, age, and storage used to make their 12, 15, and 18 year old whiskies. What a fantastic way to start the evening. Raw, fresh salmon at its juicy finest. 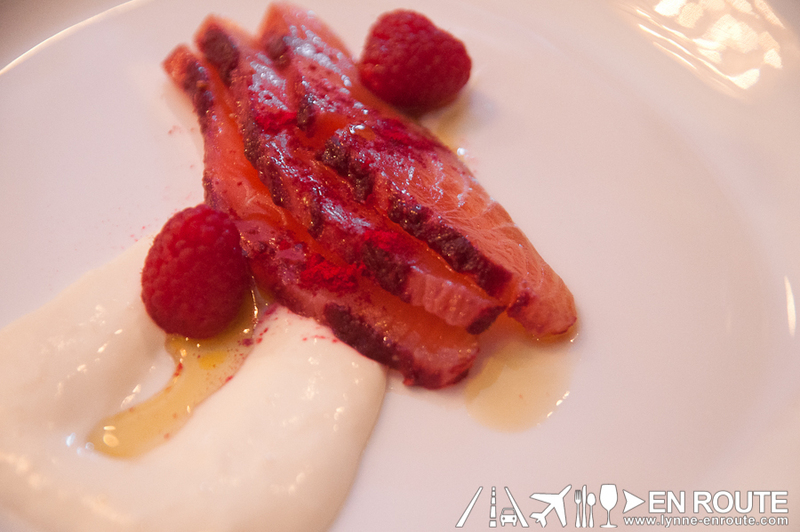 Creme fraiche keeps the whole meal balanced by providing a contrast to the fish. And the pepper? Just enough heat to get this party started. Raw food is always a taste hard to acquire, like uni or other sushi variants. This scampi was no exception. Again, the theme of this dish is balance, with the coriander somewhat neutralizing the taste of raw shrimp. This was also the first pairing with a Glenfiddich 12 year old. It is a good tipple to begin your journey into the world of single malt whiskies, with more fruity notes of pear. For a first time pairing of whisky, this became a challenge to overcome. 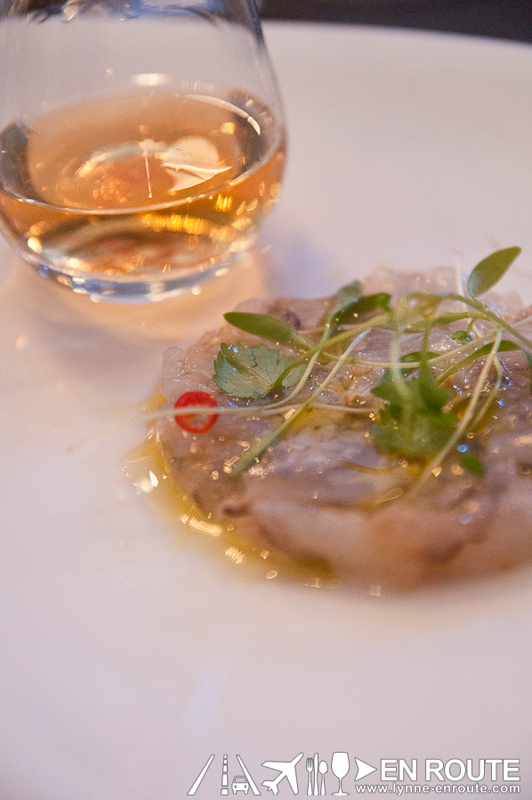 But this Glenfiddich 12 year old and that slight fruity taste balances out the fishy flavors of scampi sashimi. From experiments with the whisky, it was great with one piece of ice on the glass, or as a cocktail mixed with soda water. The fizz made the taste refreshing and the scampi more bearable. 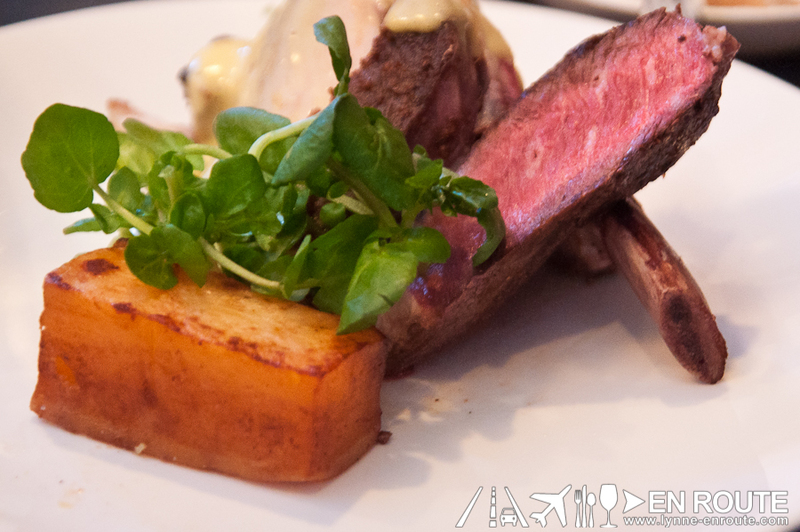 Grilled Australian Ribeye with Miso Hollandaise, Fondant Potato and Water Cress paired with a Glenfiddich 15 year old whisky. The cooking of this was even demonstrated live, and the smoke that came from the sizzling steak drew some appreciative applauses from the crowd, anticipating the meal that is to come. And it was to come also with a 15 year old Glenfiddich, which had a slight honey taste and a spicy afternote. 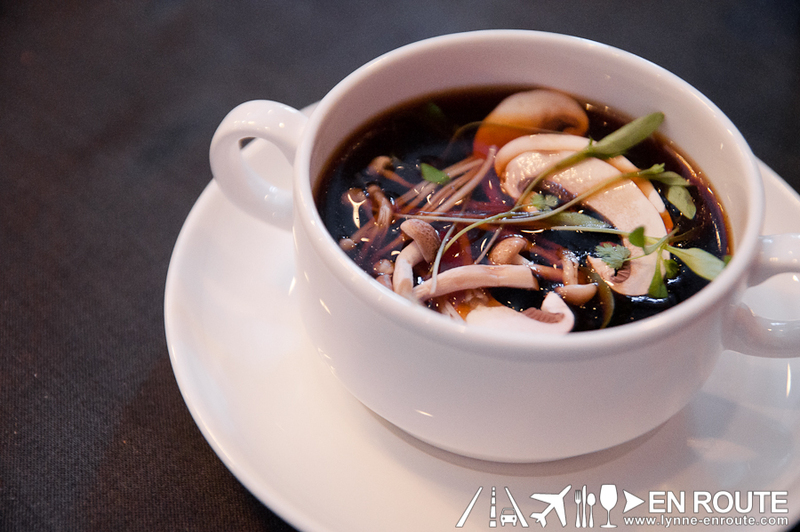 As the spiciness might overpower the steak’s flavor, mixing it with a bit of cool water (about a third of the volume of the whisky) would bring put more of the honey aroma and a slight rich fruitiness. Or you can also take in sips of water in between your steak and whisky sequence. Goat milk from experience has that slightly gamey flavor you might get from eating the goat itself, but this particular one tasted very neutral, and with no sour notes. 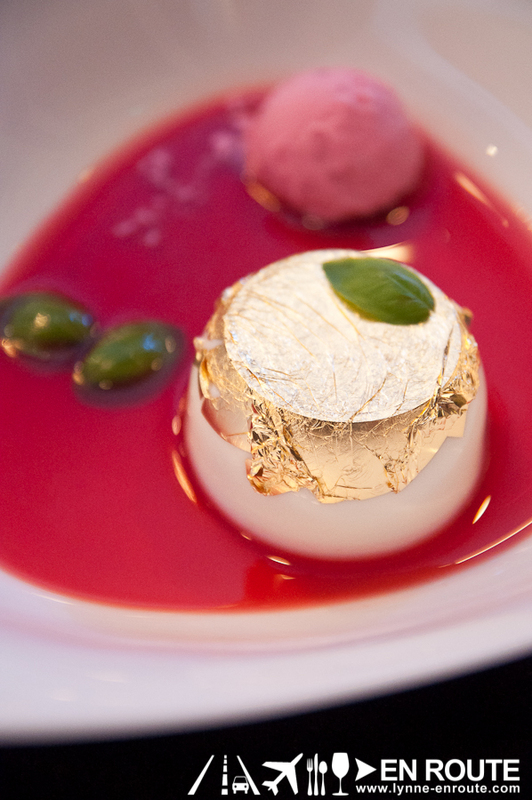 It allowed the sorbet to also make its presence known in your taste buds, plus the strawberry soup that was personally poured by the chef. And another one that made itself known was the cinnamon flavors of a Glenfiddich 18 year old whisky. Taking this with a scoop of the milk jelly and strawberry was like witnessing a street festival finish its number with fireworks. The milky taste will go along with the cinnamon, so this whisky is best taken in neat (Yes. No additions at all. Or maybe a spot of cold water to remove the sting. But nothing more than a quarter of the volume of the whisky). Five courses, three whiskies, and two shots short of a strike later, somehow, some way, the night ended well for this first timer in whisky pairing. It is admittedly, still a bit intimidating, and thoughts of clumsily replicating this at home on whatever whiskies were available with disastrous results play around the brain, saying that you might have bitten (or drank) more than what you can chew. … Just line everyone’s favorite beer and salted peanuts.